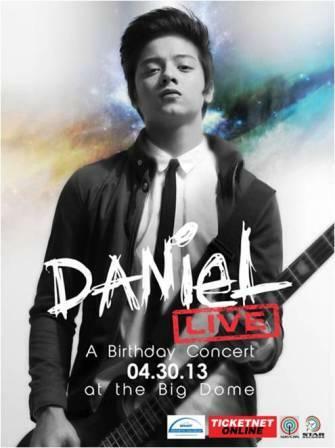 Under the production of Star Records, “Daniel LIVE: A Birthday Concert” in Smart-Araneta Coliseum will start at 7:30pm on April 30. Tickets are now available at Ticketnet outlets and at Smart Araneta Coliseum Box Office (Yellow Gate). Simply call 911-5555 or log on towww.ticketnet.com.ph.